I’d like to commend you for the insightful, well-researched, and thoughtful article on Chancellor Sinsheimer [“An indelible mark,” page 21, fall ‘17]. I was the last vice chancellor for advancement Sinsheimer hired prior to his retirement. You captured his lasting achievements and touched on the significant changes he made on campus. When I was there, a great number of faculty and students were fuming/protesting over his changes in the college and board of studies systems. Sinsheimer saw the future and made changes that, I believe, propelled UC Santa Cruz into the ranks of “serious” universities, while still maintaining a sense of community in the colleges. I solicited his friend Arthur Graham to fund the endowed chair in his honor and was delighted when Art and Carol Graham replied affirmatively. Everyone loved Karen Sinsheimer, who managed to “humanize” Robert and open up the campus to the larger Santa Cruz community. Robert had an annoying, but funny, habit of flicking the lights at University House when a dinner with donors went too long. Thanks for the article that brought back many memories. I worked from August 1973 through the ’70s as the assistant for public affairs and planning to Chancellors McHenry, Christensen, Taylor, and Sinsheimer. It is difficult to overstate the contribution Chancellor Sinsheimer made to the campus. Being viewed as a “hippie school” was the least of its problems. 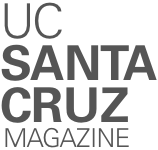 When I arrived on the campus, it was clear that UC Santa Cruz faced a number of major challenges—from the legislature; the community; the UC system; the campus itself; and the negative national, state, and local media coverage of the mass murders in Santa Cruz. UC Santa Cruz—this gorgeous campus that had done so many things right—was struggling. His appointment as chancellor was a significant lift for the campus. What Chancellor Sinsheimer did was extraordinary. 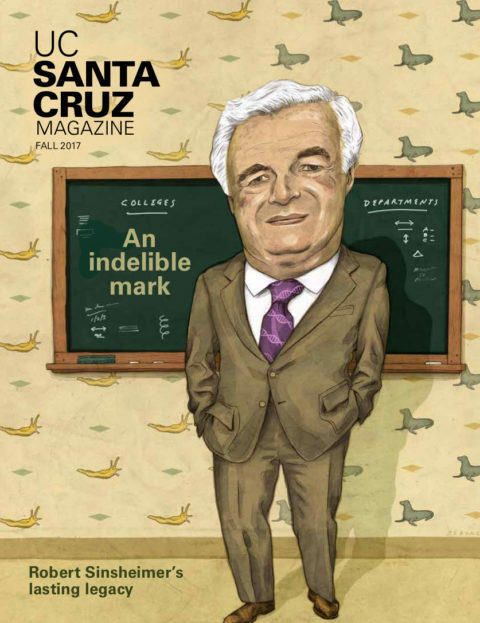 Through his exceptional intellect and integrity he not only saved the campus, but also laid the foundation for the outstanding institution UC Santa Cruz has become.